2017 marked our 160 Year anniversary! The first meeting of “Earl Shilton Permanent Benefit Building & Land Society” was held in the Royal Oak Club Room, in the High Street, Earl Shilton, on the 17th December 1856. Members paid their first subscriptions on 3rd January 1857. The Society’s main objectives back then were to promote thrift and home ownership – these remain as valid today as they did over 160 years ago. During the years, the Society has moved its Head Office on a number of occasions but has always been based in Earl Shilton which is located in the Midlands county of Leicestershire. The Society also has a branch located in nearby Barwell. The Society has been at its current home at The Hollow since 1940. 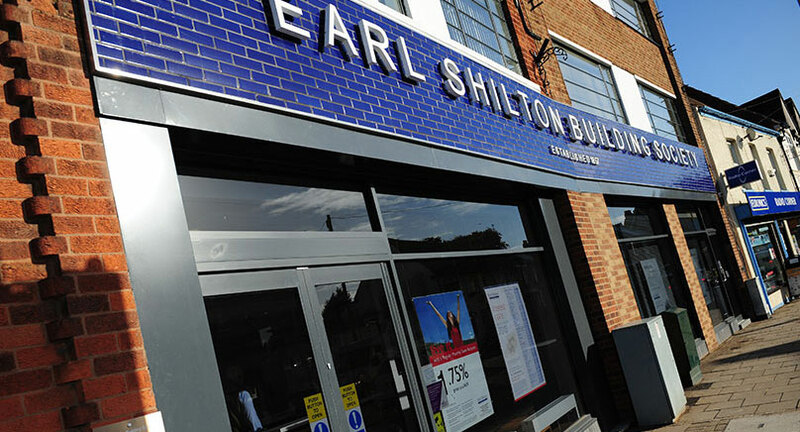 Following an extensive refurbishment in 2013 the Head Office now provides even more of a secure, clean, professional and modern environment for members and staff, demonstrating the Society’s continued commitment to Earl Shilton. The local Gilbert family was associated with the running of the Society for over 100 years until Mr. John Gilbert retired in the 1990s. Many changes have occurred over the years with digital technology developments playing a vital role in the Society’s operations. The fact that you are reading these words on the Society’s website is testament to this fact. The Society has assets of over £137 million, over 10,000 members, and 31 staff. It is in excellent financial health and remains committed, as it always has been, to providing a range of simple to understand financial service products to meet members’ needs. The Society also prides itself on offering a friendly and professional service.